E-prescribing allows providers to send prescriptions directly and electronically to a patient's pharmacy. 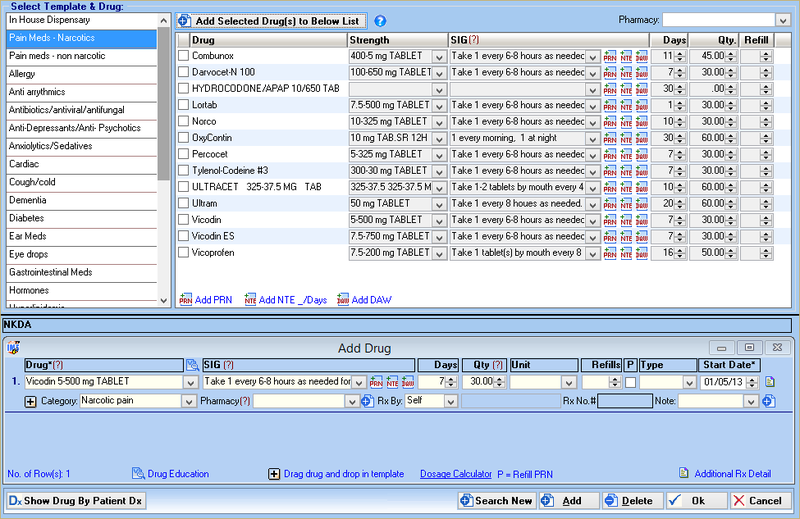 It saves time, reduces errors, and increases the chances that a patient will get a prescription filled. Using our Chiropractic EMR's e-prescribing module your office can either send prescriptions electronically to eRx-participating pharmacies, print prescriptions in the EMR to paper, or fax prescriptions to a pharmacy directly from the EMR. See the difference our Chiropractic EMR e-prescribing module makes. Call 480-786-1116 today to get started!